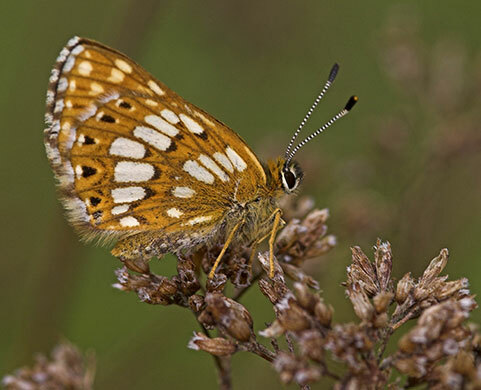 Special features: The Duke of Burgundy Fritillary is a brown coloured butterfly with orange spots and a broken white border. Despite the name this is not really a fritillary. True fritillaries belong to the family "nymphalidae. The Duke of Burgundy Fritillary belongs to the family "Nemeobiide", mostly found in south America. In the 1700's it was known as Mr. Vernon's Small Fritillary. Distribution: Scarce. Found in a few locations south of Yorkshire. 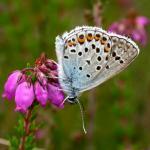 Habitat: Meadows, woodland clearings and places where the caterpillars foodplants grow.